SunValley Fibers is a Batter Up KAL sponsor with a gift certificate for a winner in the World Series Thread. 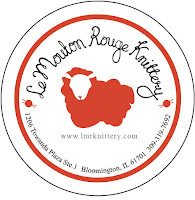 Thank you to the April-May sponsor of the podcast, Le Mouton Rouge Knittery for helping make in a sKnit possible. Located in Bloomington, Illinois, this is my favorite local yarn shop. Le Mouton Rouge carries a wide variety of independent and commercial dyers, as well as great knitting accessories and notions. Visit online or in person. Kelly just shared her new pattern, the Moving Forward Shawlthat combines squishy garter stitch with simple but effective lace. Proceeds from sales of the shawl will go to the Joyful Heart Foundation. 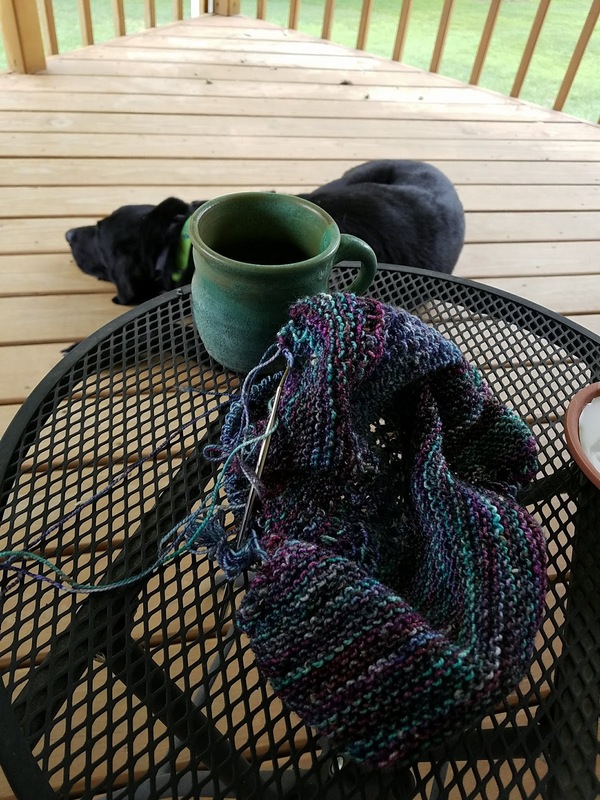 Castra shawl by Anthony Casalena in Chelsea Yarn Luxe Rustic (colorways violets and limeade). Project page. Vanilla socks in Dyeabolical Yarns Lovely Sock in the Deck the Halls colorway. Project page. Batter Up KAL started March 29th and continues through the end of the World Series. 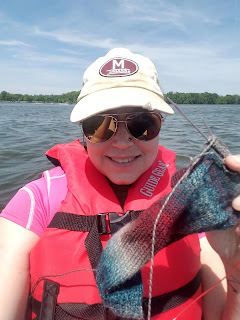 Prizes include: Gift certificates from Yarn Geek Fibers and Sun Valley Fibers, the Tolstoy Collection of patterns from Kino Knits Designs, sock yarn from Dyeabolical Yarns, cute baseball buttons from me, a prize code for patterns from Knitting SAMurai, and more to come! Quarter 2 of the Quarterly Goal KAL is under way!